NBA Playoffs 2016 Western Conference Finals Game 1 - Oklahoma City OKC Thunder vs Golden State Warriors (GSW) - has just ended, with the final scores 108-102. 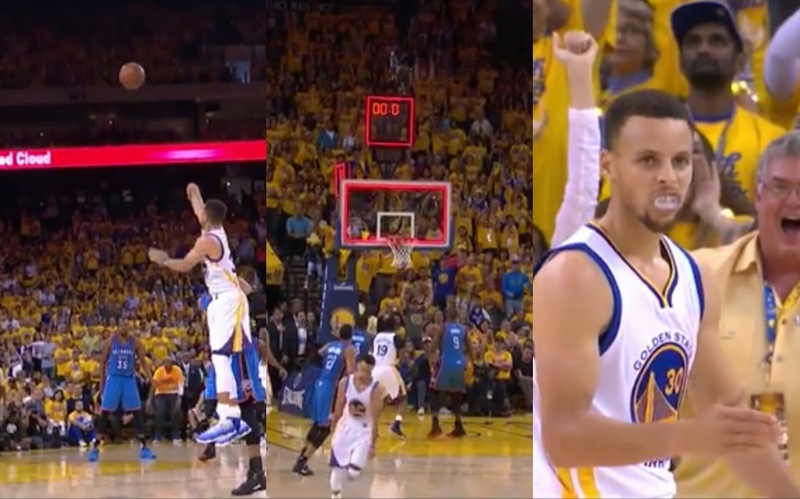 This OKC vs GSW Game 1 took place at the latter's yellow-filled home court, the ORACLE Arena. The Warriors were on the lead from first to third quarters, but it was the last quarter that ultimately decided the winner of the game. Look at the quarter scores: 21-27, 47-60, 85-88, 108-102. Russell Westbrook and Kevin Durant led the OKC Thunder in the scoring, with 27 and 26 points respectively. Curry on the other hand also had 26. Next NBA game as per schedule will be Game 1 of Toronto Raptors vs Cleveland Cavaliers in the Eastern Conference Finals happening Tuesday evening, May 17, at Cleveland's homecourt (Wednesday morning, PH time). Game 2 of OKC vs GSW meanwhile is set for May 18 this time at Thunder's home court (Thursday, May 19, PH time).